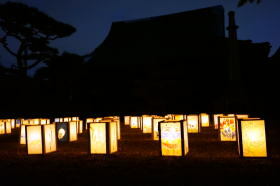 On both sides of streets, about 1,000 decorative paper lanterns with elaborate pictures, characters, people's wishes are simultaneousaly ignited when it becomes dark at 18:30. 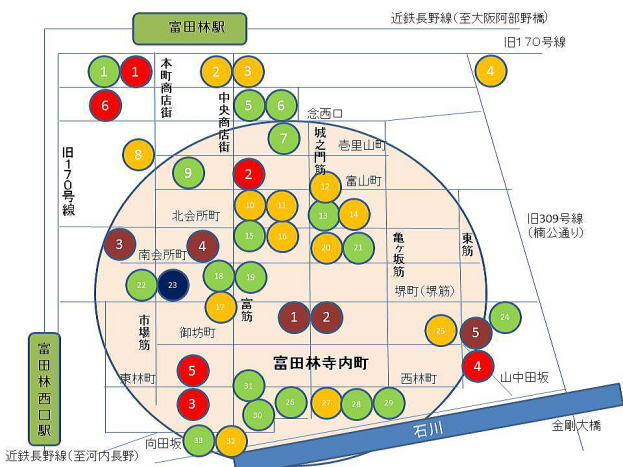 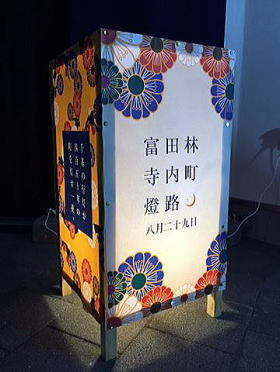 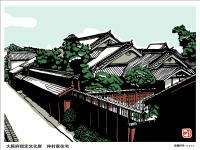 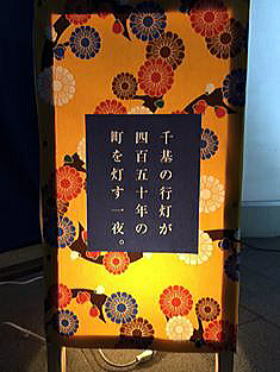 The local association for preservation and development of the town is welcome to visitors to have a fun to produce original personal lanterns and ignite their own lantern on the street in order to make the summer memory together with local residents. 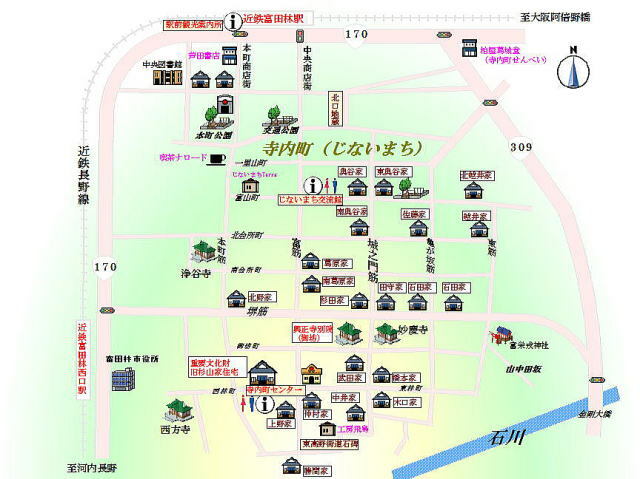 There are variety of event programs and we welcome you to join the festival on this occasion. 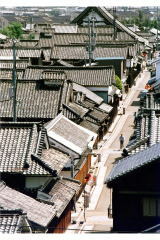 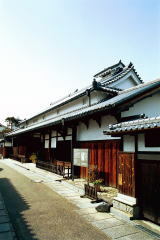 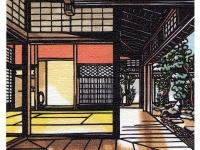 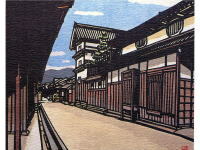 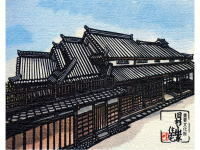 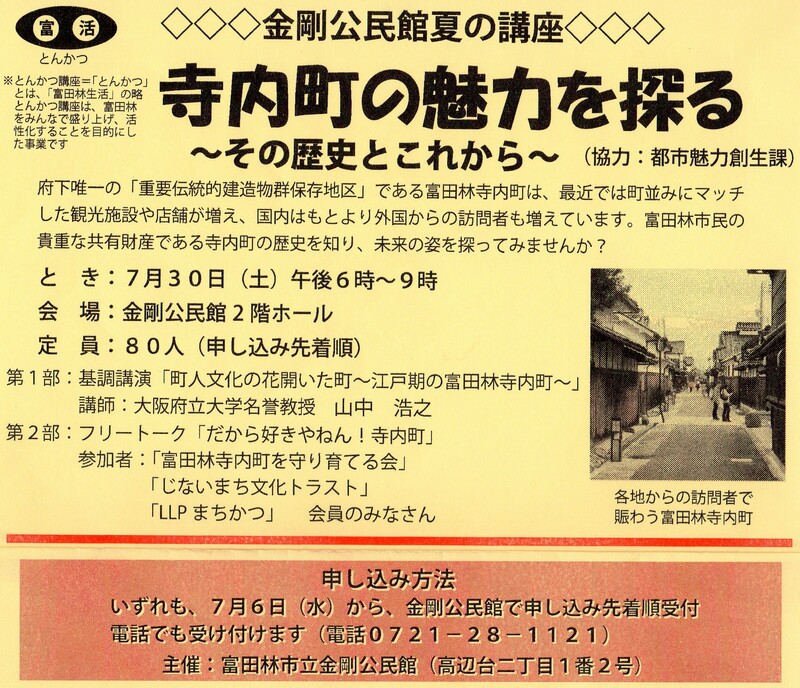 Please see the leaflets and website of Tondabayashi Tourism Association for more information on the program of the day.